The Hollywood Casino at Penn National Race Course booked the first legal sports bets in Pennsylvania in mid-November 2018. The move came just over a year after Gov. Tom Wolf signed a new sports betting bill as part of a broad legislation push that included online poker and Daily Fantasy Sports (DFS). The October 2017 bill became effective after the Supreme Court's May 2018 ruling upending the federal ban on single-game betting outside of Nevada. 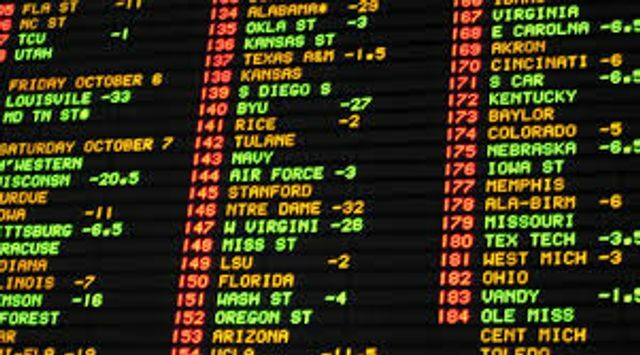 A number of other sportsbooks have also obtained a license to operate in Pennsylvania. In a June 15, 2018 letter to Pennsylvania officials, the NFL expressed concerns about consumer protections and data enforcement issues under the bill. The white-collar crime risks that will present themselves through expanded sports betting require a few types of resources to ensure proper prevention, detection, reporting, and remediation. Reducing risks of white-collar crime throughout the gaming industry requires knowledgeable compliance and legal professionals. Growing from a singular, geographically-concentrated legal venue (such as Nevada) for sports betting to five, 10, or 25 jurisdictions will present a challenge because there is an inherently limited quantity of experts with real sports betting compliance experience. Prior to the overturn of PASPA, the American Gaming Association released a report that projected 10-year growth of gaming jobs by over 60,000. That figure is likely to grow in multiples with a significant portion of internal jobs dedicated to compliance, a real concern assuming an inherent limitation on available experience in the short term. The NFL has taken a different approach than the NBA, as its partnership with Caesers doesn’t include sports betting, daily fantasy sports or hotel/resorts, unlike the NBA’s deal with MGM. NFL team, league partnerships with Caesars are for the Casino category only and do not include sports betting, daily fantasy or hotels/resorts, per release.